Chattanooga, Tenn.-based Henderson Hutcherson & McCullough (FY17 net revenue of $24.4 million), an INSIDE Public Accounting Best of the Best Firm, has announced that Jason Martin has been named MP of the Memphis, Tenn., office. This announcement comes just one year after Martin moved from the Chattanooga office to Memphis. Martin joined the firm’s audit department in Chattanooga in 2011. He was admitted to the partnership in 2016. 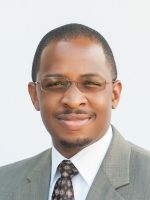 With over a dozen years of experience in a diverse range of industries, Martin counts construction companies, family-owned and closely held businesses, and governmental institutions among his areas of expertise. In addition to providing traditional audit services to a wide range of clients, he spends much of his time assisting clients solve complex operational challenges. He also provides valuable consulting services to his clients by utilizing his problem-solving skills and his background in fraud investigative and forensic services.